For my card I decided to do some gold heat embossing along with some watercoloring. I've been doing a lot of this lately but it's hard to stop when the results can be so stunning. 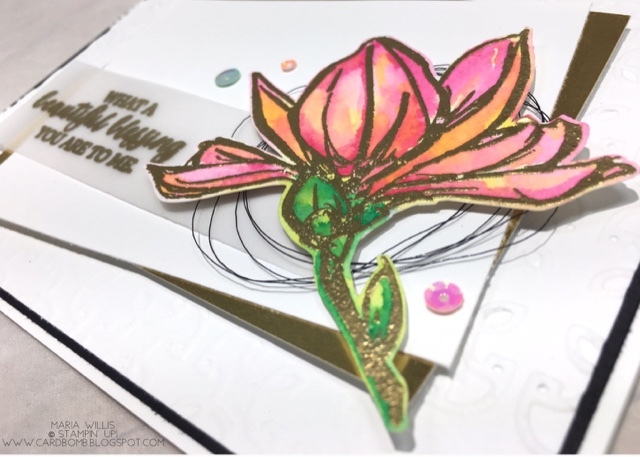 My flower image is from the Remarkable You Stamp Set and it is perfect for watercoloring because of the big, full leaves. I used Melon Mambo and Daffodil Delight inks on the petals and Lemon Lime Twist and Emerald Envy on the stem and leaf. These are some of my favorite color combos for watercoloring because they blend into the most spectacular colors. I heat embossed my sentiment in gold on vellum. Then I layered it on top of a piece of Whisper White Cardstock, Gold Foil and a Whisper White background that was dry embossed with the Garden Trellis Embossing Folder. I added Black Metallic Thread and Iridescent Sequins to finish the card off. The sentiment is from the Rose Wonder Stamp Set (so many great sentiments in that set). My card base is Thick Whisper White with a mat of Basic Black cardstock. I've made a video tutorial on how I watercolored this flower. If you haven't tried watercoloring before I hope that the tips I share in the video will help you get off to a good start. Enjoy! 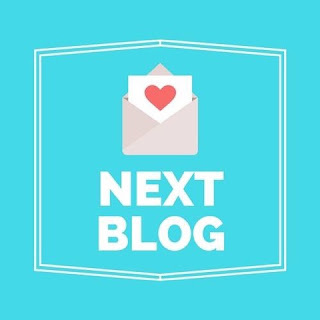 As always, I'm thrilled to have you stop by my blog. I hope you've enjoyed my card and video today. If you're ready to see some incredible creations from the other artists on this blog hop then please click the next button and head on over to my incredibly talented friend over in Canada... The fabulous Carolynn Sander! BOOM! Another card bomb dropped. LOVE everything about this project Maria. You make watercoloring look so easy I want to give it a try. Thank you! I hope you'll give watercoloring a go. It's one of my favorite techniques-let me know if I can help. 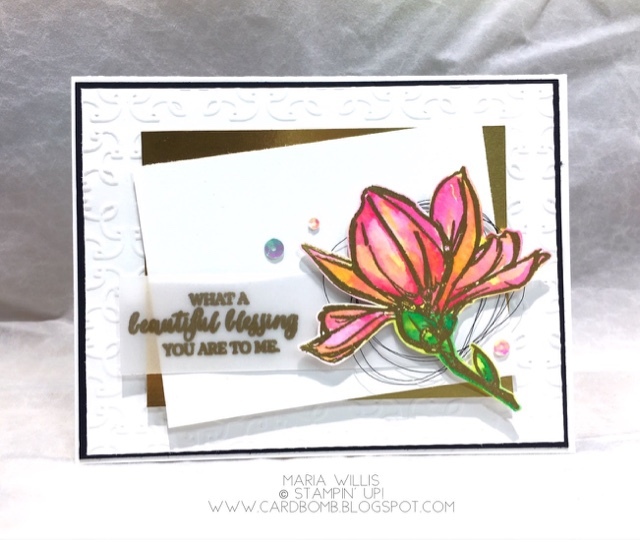 Your card is so beautiful!I love the gold embossing and the watercoloring! Maria, this is stunning! The touches of gold make this so elegant and your watercoloring is drop dead gorgeous! Love the colouring of your flower. Gorgeous! Gorgeous coloring on this flower, Maria! Such a wonderful layout on this card, too. So happy I was able to hop with you this weekend. You make watercoloring look easy! Wow Maria - what a gorgeous combo of colors! So tropical!! Loved hopping along with you!